New Bloom County strip already up! Kids, ask your parents what Bloom County is. So as it turned out, I had a pretty good weekend overall, despite my worries about losing some of my regulars to the San Diego Con. I had a good flow of customers, did some brisk business on the eBays, even managed to get a headstart on the monthly Diamond order where I’ll be ordering enough of the B.P.R.D. neon signs that you’ll be able to see my store from space. And it was a warm weekend, so praise the deity or deities of your choice that I had access to air conditioning at my shop. Wonderful, wonderful air conditioning. …but I think my favorite news, not from all that San Diego hoohar, is Berke Breathed returning to Bloom County ! I’ve seen a mention here or there that it’s coming back as a webcomic, though I haven’t seen an official declaration of that anywhere. Maybe I’m not looking in the right places. Seems to make sense, though…given Breathed’s famous dislike of the shrinkage of strips on the funnypages, working on the web would give him all the room he wanted. 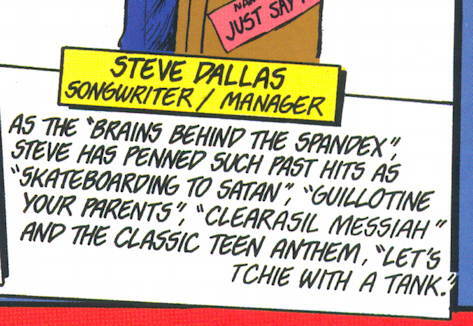 Anything that gets more Opus and Steve Dallas and Milo in my life is okay by me. Again, as I demonstrated in this post here, I’m torn between “hooray, something I loved is coming back!” and “no sir, you can’t go home again,” and…yes, new Bloom County won’t suddenly put me back in high school or Reagan back in office or Boy George back on my radio (all situations I would have mixed feelings about…well, okay, I’m all for Boy George being back on the radio) but I am looking forward to seeing what new things Breathed can bring to the table with these old favorite characters. 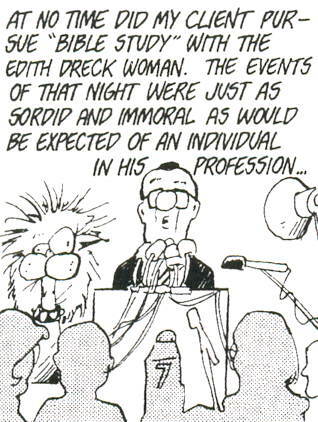 This reminded me that we’ll soon be seeing Academia Waltz and Other Profound Transgressions , a hardcover in the style of the complete Bloom County / Outland / Opus volumes, reprinting of Breathed’s college strip and other pre-BC work. You can see the Academia Waltz strips here, and, uh, yeah, they’re definitely…um, primordial, but it’s still an interesting look at Breathed’s early development. Completely unrelated to any of the above, I keep forgetting to mention that I helped Bully, the Little Stuffed Spacebull, with an entry in his 365 Days of Star Wars Comics feature. He even (unknowingly!) posted it on my girlfriend’s birthday! IT’S A BULL-INCIDENCE! Those of you with long memories or are simply stalking me may remember when I wondered, when it came for this series of Bloom County strips to be reprinted in the current Complete Bloom County hardcovers from IDW, if the original versions of the strips would make the cut, or the edited-to-satisfy-busybodies versions would prevail. When I first saw this, I thought briefly that maybe, just maybe, a lawyer suggested against running that title on the cover, resulting in some…odd editing. 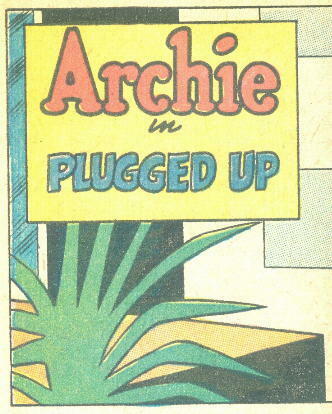 But the same glitch appears on the strip inside, and the running-over-Ritchie gag is used again in another strip. 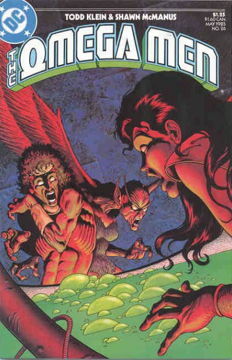 So, who knows…just a minor screw-up, it looks like, hopefully fixed in future reprintings. But don’t let that stop you from enjoying this latest volume in this excellent and oh-so-welcome series. And besides, all the true Bloom County fans pretty much know that Lionel Ritchie gag by heart anyway. In other news…yes, I know what happens at the end of this week’s Brightest Day #23. I’ll talk about it later this week, or maybe early next, after everyone’s had a chance to read it. I should note that sending me links to that one comics news site about it, either via email or through my comments, won’t do much good, since any messages containing links to that site are automatically spam-filtered. I do appreciate that you all thought of me when hearing the news, though, so thank you. Also, in Write More Good news, here’s what Neil Gaiman had to say about it. And in case you were wondering: Fake AP Stylebook: The True Story. And if that’s not enough: here I am enjoying the fruits of my labor (Twitpic version if you can’t access the Facebook page). 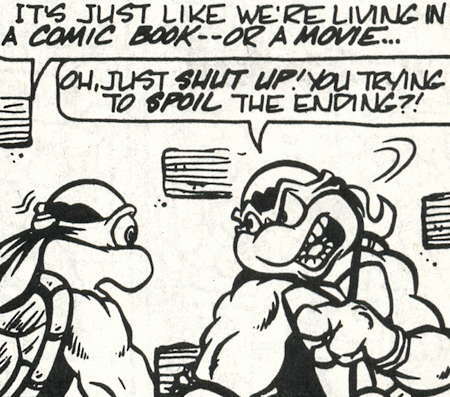 And then there was that time the Teenage Mutant Ninja Turtles comic strip became self-aware. Not quite at Morrison’s Animal Man / “I can see you!” levels of “we’re all just characters in funnybooks” awareness, but still a somewhat amusing and unexpected (if certainly not intentionally critical) bit of self-commentary on the “final battle” cliché. More racial sensitivity in comic books. § September 29th, 2004 § Filed under newspaper strips, racial sensitivity Comments Off on More racial sensitivity in comic books. 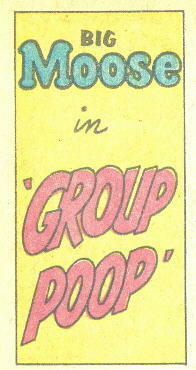 Man, early comic books were always sticking it to our Native American friends. Though, given how comics also treated Blacks and Asians, I suppose no one should be terribly surprised. 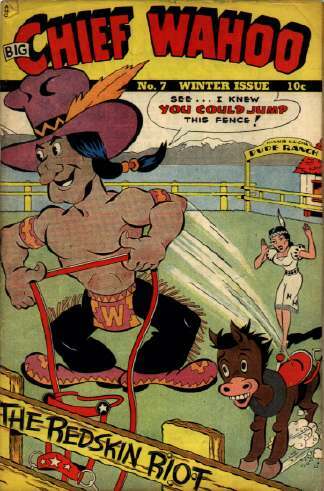 At least in this instance Big Chief Wahoo was the star of the strip, but was still saddled with stereotypical Indian dialogue (“ugh” and “how” and “-um”s). Lots more information on this remarkably non-politically correct character can be found at the excellent Toonopedia. 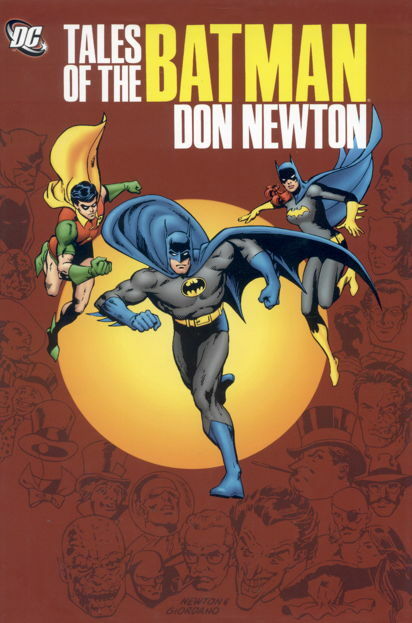 This comic book is actually a collection of reprints of a comic strip, and as much as I like old strips, I am woefully uninformed regarding them. Therefore, it comes as a surprise to learn in that Toonopedia article that the Big Chief Wahoo strip, which was originally The Great Gusto , eventually became Steve Roper and Mike Nomad ! And, just for the heck of it, here are some Big Chief Wahoo gum packages. I’m still fooling around with settings. Don’t mind me. Meanwhile, take look at this Wizard of Id strip and see if you can figure out what this situation and these characters have to do with The Wizard of Id. I haven’t read the strip in a while…did I miss something?